The theme of this issue is worker cooperative replication. 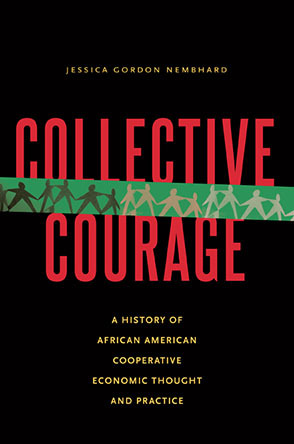 It addresses an issue which is central to the growth of the democratic worker cooperative movement. How do we reproduce the success stories we have already achieved? That is, how do we replicate successful worker cooperatives in different locations? Inherent in the challenge of replication is a long standing conundrum of worker cooperative development. Replication is analogous to "franchising" in a capitalist company. Capitalist companies have a compelling motive to replicate successful stores - maximizing profit. The Shock Doctrine is one of the most important books of our time. As a persuasive political writer, Naomi Klein is setting a new bar. Her angle is not that of the psychoanalyst, radical political economist or social philosopher, though she moves confidently through the terrain of these and all social sciences. Since the mid-1990s a group of worker cooperative organizers in the San Francisco Bay Area has been developing a new model for cooperative development. Our organization, the Arizmendi Association of Cooperatives, is a network, incubator, and technical assistance provider that is owned, governed, and funded by the member workplaces it creates and serves. Our primary activity is to replicate and offer continuing support to new retail bakeries based on a proven cooperative business model.